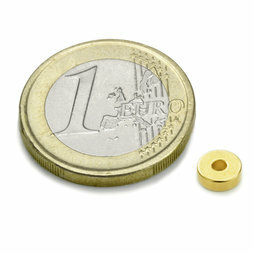 Real gold-plated little rings. Very strong. What do women say about this one? This configuration is somewhat painful for these 25 magnets, as they would really prefer to be stacked together in the direction of their magnetisation. Photo by Karolin Weber from Bern. An exciting combination of materials.